My fourth time in Mt. 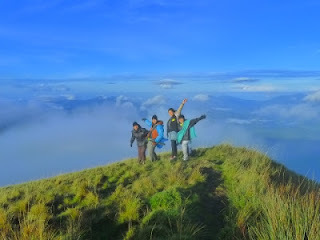 Pulag.. (this time with Lingkod friends)..
Mt. Pulag in Benguet has been one of my top favorite hiking getaways since I had my first trek in this mountain in January 2011. I have always been in awe of its majestic views and its grassland trek to the summit with its grass bamboo features are simply amazing and one of a kind. Whew! “Hindi ako nagsasawang akyatin ang bundok na ito!” I've already walked the four trails of Mt. 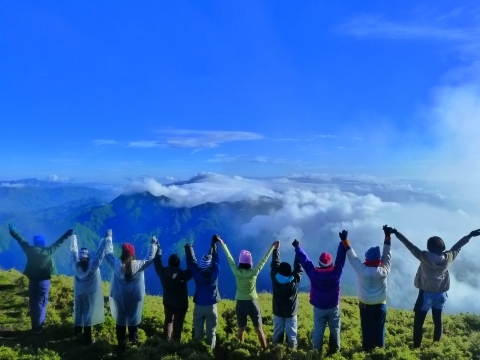 Pulag— from the popular Ambangeg trail to the major and difficult trails called Ambaguio , Akiki and Tawangan, and all these happened just last year. The thing is, three times I trekked to its highest peak and three times I failed to witness its famous view of what they call, “sea of clouds.” It was either foggy or rainy. The third time was with a bit clearing at the summit and yet still a cloudy weather condition. The worst was during our Ambaguio-Akiki traverse, where there was Typhoon Mina. But not until I revisited this mountain… and I have loved Mt. Pulag more from that time on! This event was created for my brothers and sisters in a Catholic community called Ang Lingkod ng Panginoon. 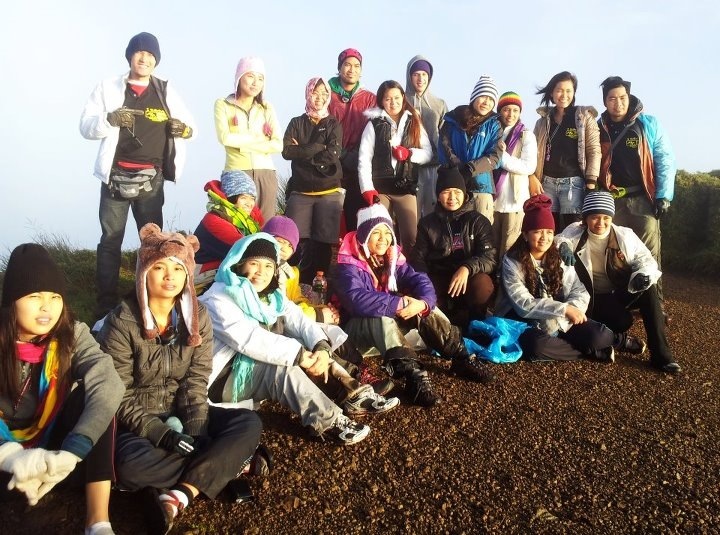 It was even titled as “Lingkod Pulag Adventure”. Our chosen trail was Ambangeg. Some of these Lingkod friends had been my companions in different climbs. And so, some of them were requesting if we (together with my climbing buddy Dennis) could organize a climb event again. Then came a thought of letting these friends see the splendid beauty of Mt. Pulag--- tagged as the roof of Luzon since it’s known to be highest mountain in Luzon and claimed to be the third highest in the Philippines. The great thing was, it's really great to revisit Benguet. I must say, Mt. 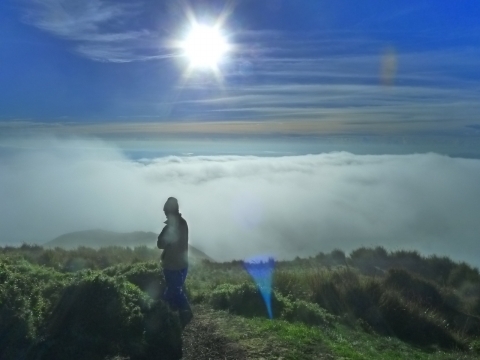 Pulag seems to be a “should be” known mountain for mountaineers and campers and other adventurers. Jahmie, my sibling, was able to join the climb too. It was her third summit. 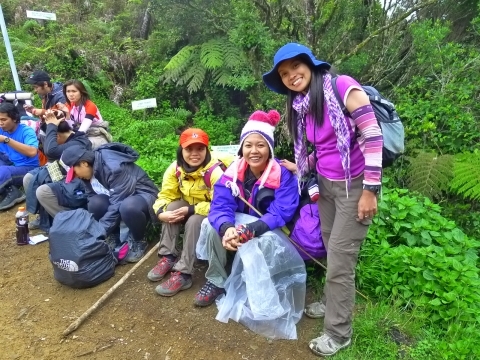 Few challenges were encountered before the climb as typhoon Dindo seemed to threaten our much awaited climb. I was also seemed to be sickly during that time and yet I didn’t want to spoil the excitement of the participants. By the way, majority of them were beginners and mostly were guests, although I was able to have a great hiking experience and bonding with some Lingkod members/friends who joined this climb. So tuloy na tuloy nga! Thank God for sustaining us during the preparations. Friday night when we left for Baguio. 23 participants were "in", including the two of us (buddy and me) and a friend from Baguio. I almost got frustrated when we arrived in Baguio City that morning of Saturday.. and it was raining and very foggy. Some first timer participants were asking if we should push through. But I was hopeful! I believe it would be a fine, sunny Saturday especially in Atok, Benguet on our way to Mt. Pulag. Typhoon Dindo was already outside the Philippine area of responsibility. 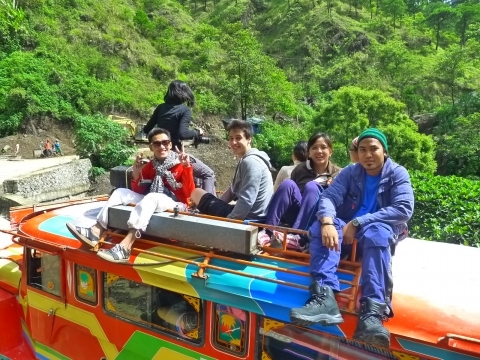 Thankful to God that as we went through the trip, we were given a fair weather, and some of of these companions even had a topload ride and enjoyed the beauty of Benguet. This is what I like about the climb, it was such a great experience being so distant from the polluted urban places and embracing the nature in the far away provinces. We, of course, dropped by first at the DENR for short briefings and registration followed by a shaky jeepney ride because of the rough road going to the ranger station which is the jump off point. How unlucky of us when we had to be dropped off and had to start hiking to the ranger station (supposed to be just a few minute-jeepney ride) because of a road construction. It therefore added to the number of hours to trek. At around 2pm, we were all ready to start. Our target was to reach and set camp in Camp 2. It rained a bit during our trek but many of us were prepared with raincoats. Then reaching the campsite, too bad it rained that heavy. Three of our participants had a broken tent and under such heavy rains pouring over us together with the help of our guides, we were trying to make a way to repair and build the tent. I felt pity for them as I was thinking that they might be, of course, feeling inconvenient and not okay, as they were first timers. Grateful that the rain stopped for the rest of the night. Buddy Dennis, being the “chief cook” for these 21 climbers (with my little help and moral support, hehe) started to cook dinner. Many also started to chill. It was very cold, and our spicy Tinolang Manok was really a good relief for the chilling participants. Again, it was very cooooold! I was amazed that they were able to manage the cold temperature—well, that was part of the adventure! At 5:30am in the morning, although it was really hard to fight for the coldness, we started our trek to the summit. Since we were a bit late to start the trek, we just witnessed the crack of dawn at the grassland on our way to the summit. It was a relaxing trek although a bit foggy. I was praying hard, “Lord, please let us see the beauty of Mt. Pulag”.. I was praying for a sea of clouds up there and I would like to have my first timer companions to have a great mountain climbing experience. One great assault up to the highest peak and we were there! Foggy at first, and so we were chilling. Good clearing and sea of clouds were seemed to be just one second. One should just ready his/her camera for such one wink-view. And finally! Thank you Lord, that was before 7am and we’re still staying there-- Both magnificent view of clouds and a partial clearing on the other side wowed our eyes.We even identified Mt. Sto. Tomas, Mt. Timbak and Mt. Ugo. (if we were not mistaken). What a view! What a wondrous creation! God’s hands are truly amazing! Again, I was loving Mt. Pulag more.. I have loved Mt. Pulag more from that time on..
Great times had just an end and we needed to descend. We began our descent and these companions were never stop clicking their cameras. We had our breakfast (courtesy of Buddy Dennis Hisanan- Great job, buddy!). We had a very sunny descent from Camp 2 though the mossy forest all the way down to the ranger station and going down further to the portion where we had to trek because of the road construction. Another shaky jeepney ride on the first few hours, and then smooth ride followed going back to Baguio. Finally, we’ re back at the Victory Liner Bus terminal. Another 6 hour-trip going back to Manila-- Tired yet a wonderful climb of a wonderful mountain just happened. I’d like to thank Lingkod friends and the rest of our companions for another great Mt. Pulag climb.